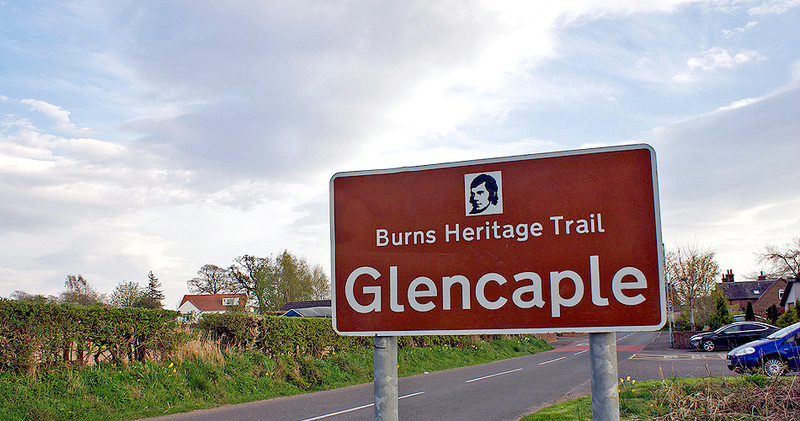 The Burns Heritage Trail is a driving route that passes through Glencaple. It takes travellers through some of the most beautiful landscapes in Scotland and visits all of the key places in Robert Burns life. Burns lived in Dumfries from 1788 until his death in 1796. He was initially laid to rest in a corner of St. Michael's Churchyard, but his followers felt that his grave was insufficient recognition of his genius. Following a meeting at the George Inn, money was raised to create a mausoleum. Burns was posthumously given the freedom of the town and also honoured with a statue. A 21st Centrury tribute to the great poet is the Big Burns Supper, billed as the world's greatest Burns Night celebration and lasts almost two weeks during January/February with world-class music, theatre, comedy and much more! Previous appearances have included Bill Bailey, Public Service Broadcasting, Eddi Reader, Dougie McLean, Camille O'Sullivan and the Bay City Rollers!